He said that undue fears have been created among the people about the Singapore – Sri Lanka Free Trade Agreeement by those who are in the opposition. He added that no individual professionals, would come to Sri Lanka from Singapore to practice nor professionals from a third country under the provisions of the same agreement. 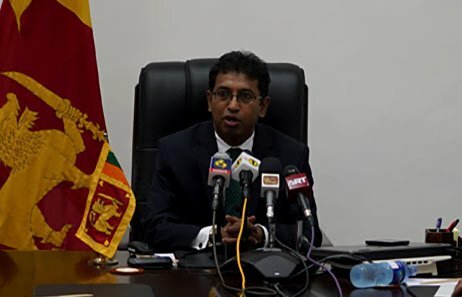 He made these observations during a press conference held at Sirikotha, the UNP headquarters. He said that some scare mongers say that the economy would tumble rather than improve due to this agreement and that is baseless. “These scare mongers say that the Singaporean profesionals would come to Sri Lanka and practice, the doctors, for example”. “It is unfounded. Architects, lawyers, doctors and engineers cannot come and provide services in Sri Lanka,” he said. The State Minister brought to the notice that the Comprehensive Economic Co-orperation Agreement (CECA) between Singapore and India which enables 150 professionals to visit other country and practise which is applied both ways. But as scare mongers say ships loads of professionals from one country do not migrate to other country seeking opportunities due to immigration and emigration laws in the respective countries. Finally these numbers migrating are governed by the national law. “So there is no reason to fear that the professionals would flood our country. Some also attempt to create a fear that people from a third country like Pakistan or India would come to Sri Lanka under provisions of this agreement,” Silva said. De Silva said all have to integrate with the developing Asian Region. “I don’t see my country as a South Asian country. I see it as a Indian Ocean Country. We are not stuck in a South Asian Mentality. We should not forget the 2500 year long history. In the coming decades, the Indian Ocean region is developing and no other country has a better position than Sri Lanka to take advantage of the growth in the Indian Ocean economy,” he said. So we must integrate and if we don’t we are the only country that would be left behind from the Regional Comprehensive Economic Partnership to which 16 Asian countries are to sign in November. We should quickly integrate with the growing Indian Ocean Community”.